When we purchased ‘Karen’ Camper we made a decision to get away camping once a month right up until we departed for our trip. 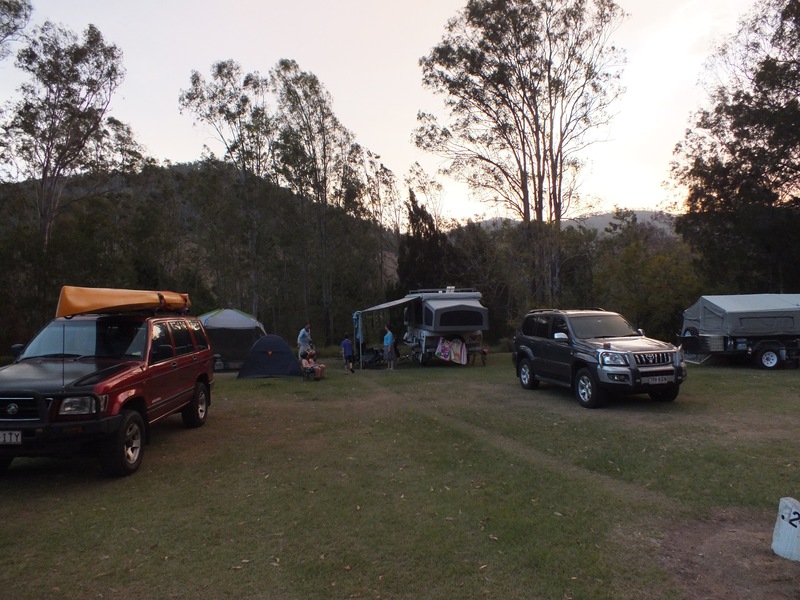 This was mostly to get as much experience towing and setting up the camper in different environments, as well as getting us all (kids included!) running like a well oiled machine with our set camping jobs, but also to make sure we got as much use out of our investment in the camper as possible. 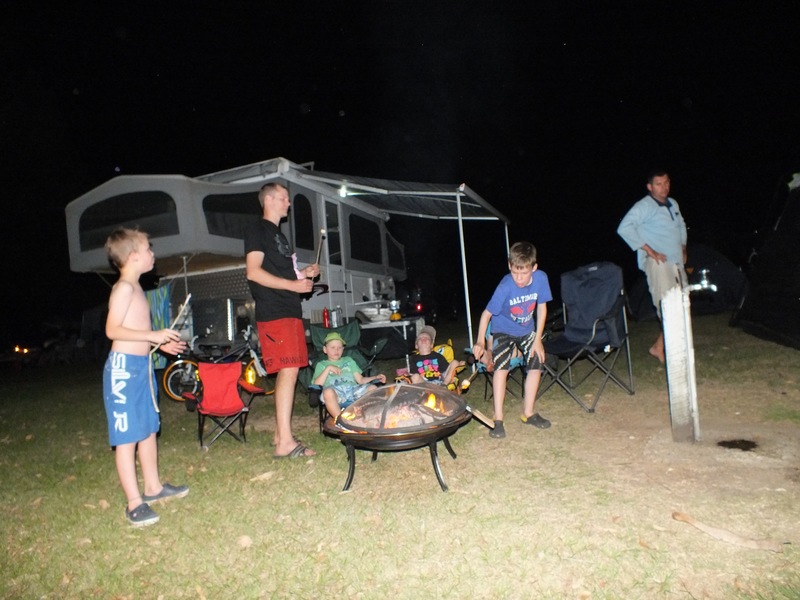 We are thinking that once we have finished our trip around Oz, we will have to sell the camper to put the funds back onto the mortgage so it was really important to us to make sure that we got to do as much camping as possible while we had her and see some of the many great spots around South East Queensland! 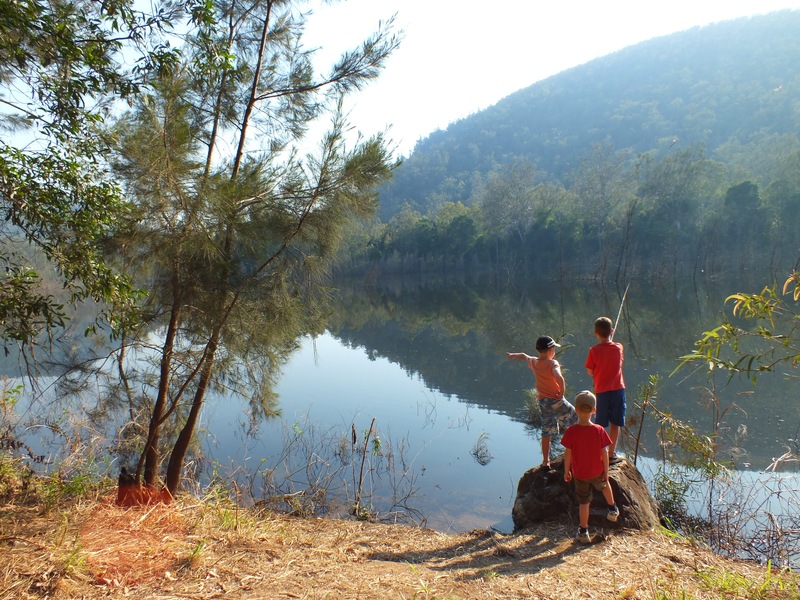 So, with that as our goal, our second camp after our first hit out to Flanagan Reserve was in October 2012 to Somerset Dam, which is a 1 hour drive from Brisbane. 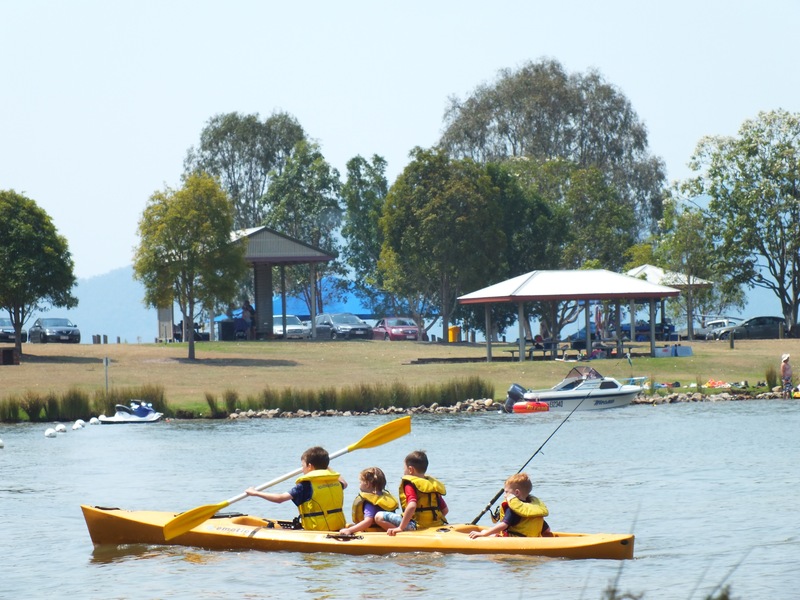 We camped for two nights at the SEQWater Somerset Park Campground as it was very cheap at only $20 per night per site! 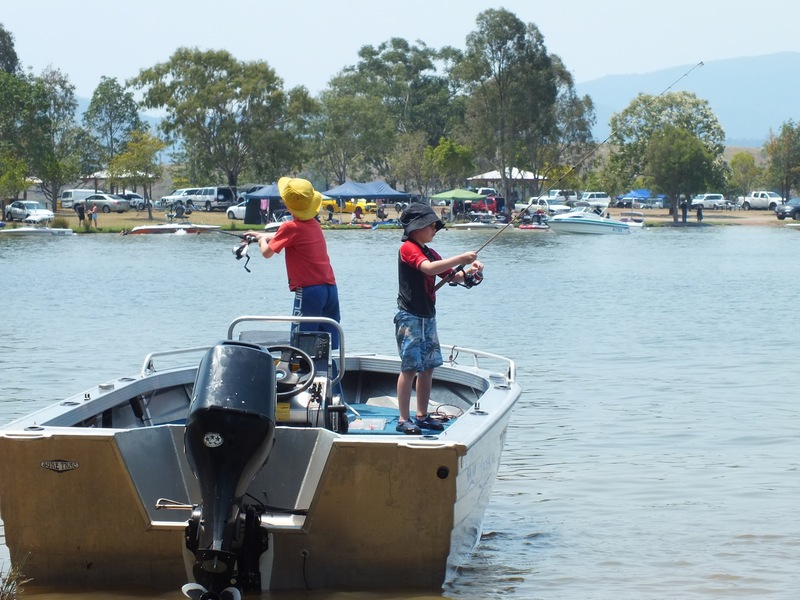 Adam and his two boys joined us on this camp which made it heaps more fun for us all as they bought all the fishing experience and know how, along with a boat and kayak! There wasn’t really anywhere for the kids to swim at the campground, but plenty of room to ride their bikes and run around, along with some great spots to fish from the banks of the Stanley River. 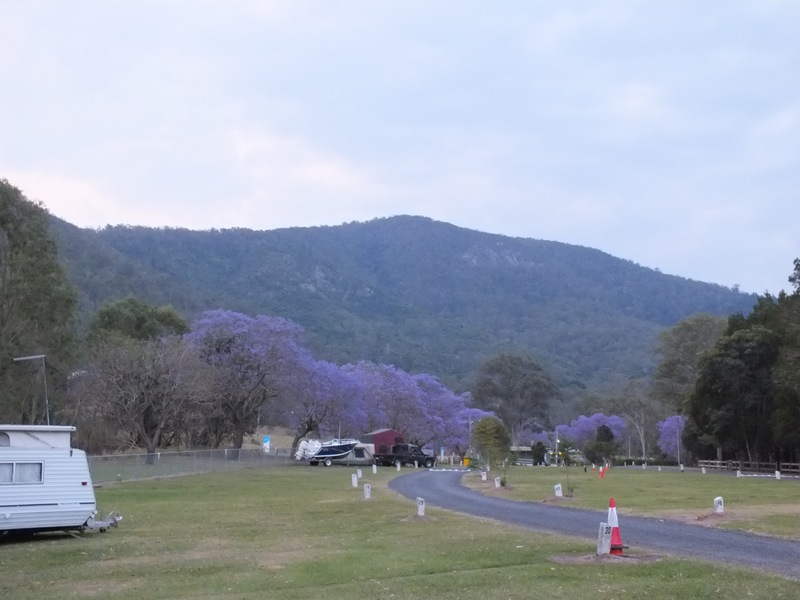 Beautiful Jacaranda trees around the campground. Great spot for fishing and Caleb even caught one on his first cast! 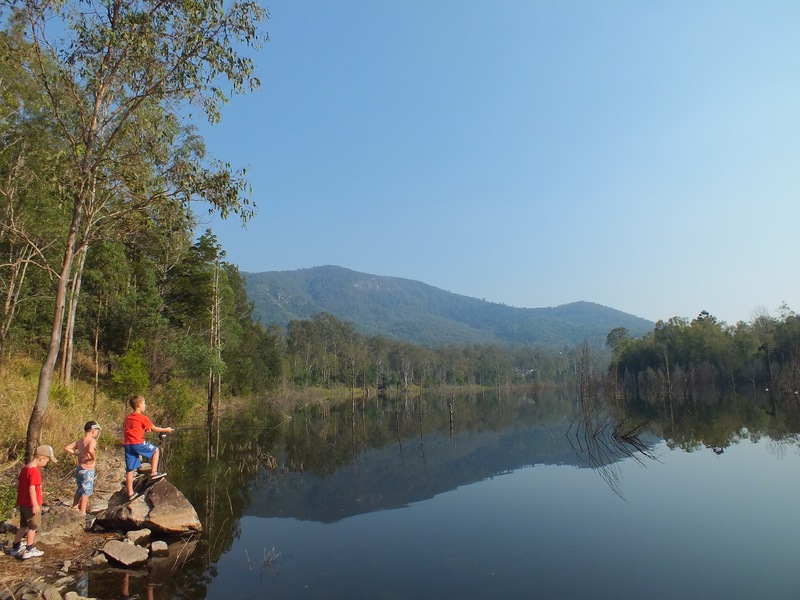 We spent most of our time at ‘The Spit’ at Somerset Dam, which was about a two minute drive away from the Somerset Park Campground. 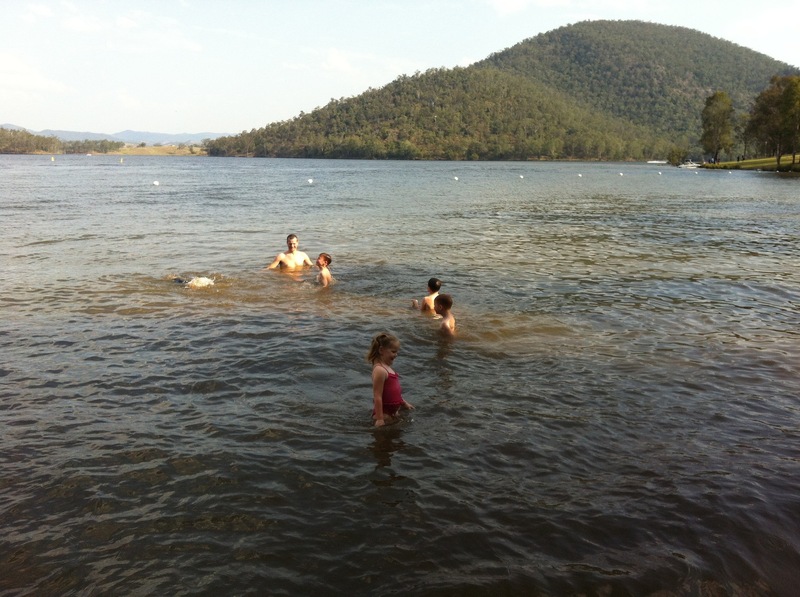 It was nice and shallow off the bank for the kids to swim (but the bottom was very muddy!) 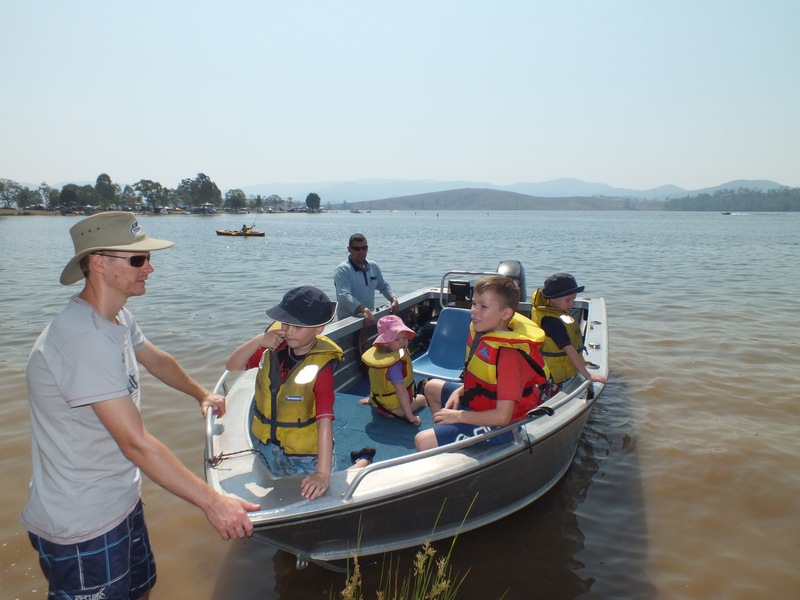 and there was a roped off area so the kids were safe to swim out of the way of all the ski boats. It was pretty busy with all the water-skiers but we quite liked just sitting and watching all the action! These boys even fished while the boat was anchored at the bank and we had lunch! 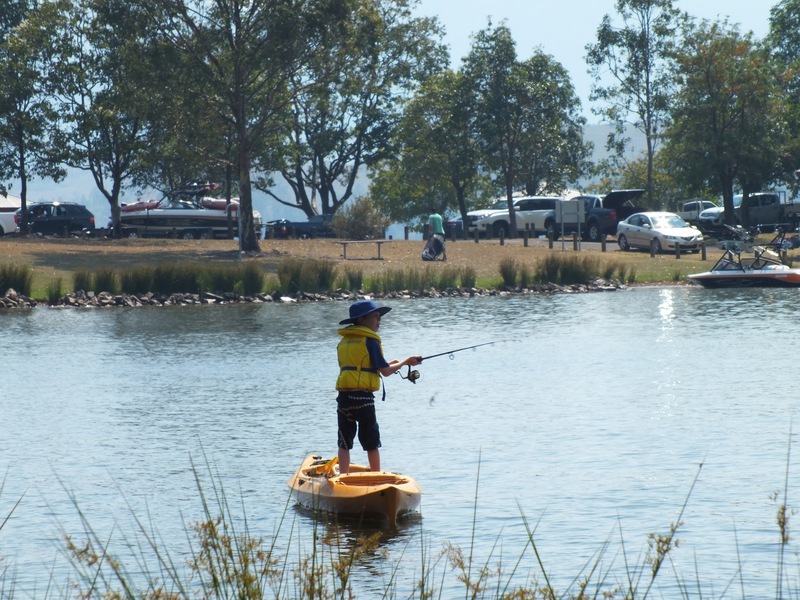 Lach spent most of his time paddling around in the kayak and fishing from it! 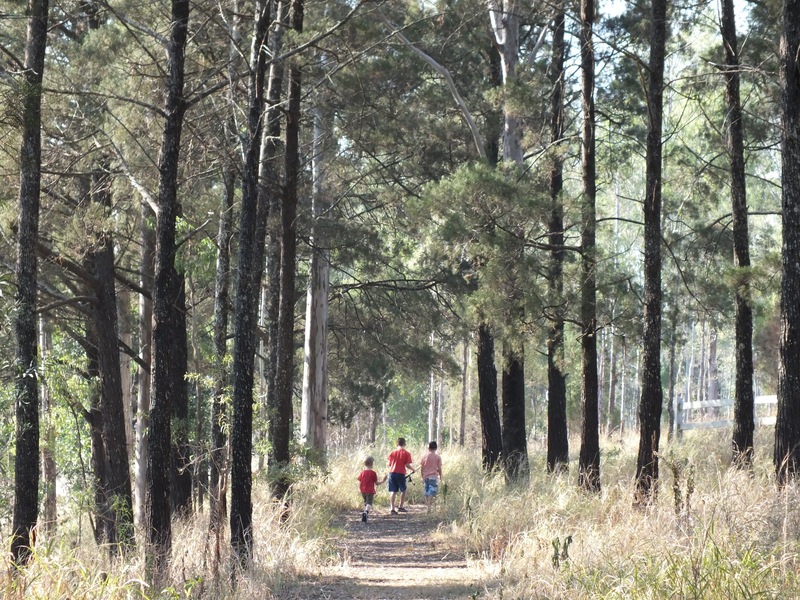 A really enjoyable spot for a quick weekend getaway out of Brissy! 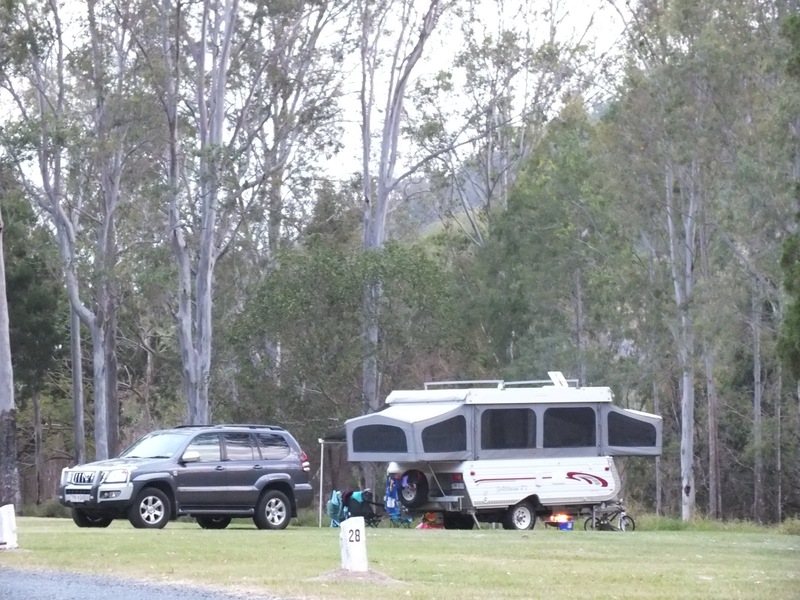 We came home via Mt Glorious which wasn’t the best idea as it definitely gave the poor car and camper brakes a good workout coming down the windy section of the range – we wouldn’t advise taking a car and camper that way! Always have to toast some marshmallows on the fire!